Abandoned at birth, Victoria Jones has been a ward of the State of California her entire life. She has, of necessity, learned to be hard and guarded, expressing her feelings – typically of hate and misanthropy – through the Victorian language of flowers, taught to her by Elizabeth, the one women who was nearer than anyone else to being her mother. Now that she has aged out of her last group home, Victoria must learn to live life on her own. She finds she can make a living arranging flowers; her bouquets are imbued with meaning as she chooses flowers based on the hopes each customer has for the effect of the arrangement. Just when she thinks she is gaining stability, however, she is forced to both let down her guard, and remember in excruciating detail what went wrong in her life with Elizabeth. 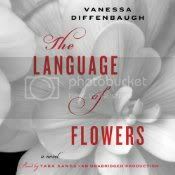 Vanessa Diffenbaum has created in The Language of Flowers a beautiful and moving story that nearly gave me a heart attack more than once. Victoria is a worrying character, initially, seeming very hard and closed off, but it is not long before the reader is sucked into her life, experiencing her 18 years of pain, and the slim hope that she has for the future. Her growth is really, it happens organically and, although it experiences setbacks, it produces beautiful results. The language of flowers is woven perfectly into the story, enhancing both plot and character development, and giving the book an extra something special to really set it apart. Narrator Tara Sands was perfect for this part. For one thing, she sounded age appropriate for Victoria, which is always something that worries me in audiobooks with young protagonists. More importantly, however, she was able to capture the contradictions in Victoria’s character, the fragility under her crusty veneer. For more information on the audio, please see my review for Audiofile Magazine. I’m launching a brand-new meme every Friday! 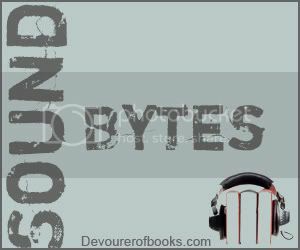 I encourage you to review any audiobooks you review on Fridays and include the link here. If you have reviewed an audiobook earlier in the week, please feel free to link that review as well. Thanks to Pam for creating the button. * These links are all affiliate links. If you buy your book here I’ll make a very small amount of money that goes towards hosting, giveaways, etc.